Maximilien Robespierre, one of the leaders of the French Revolution, 19th century. 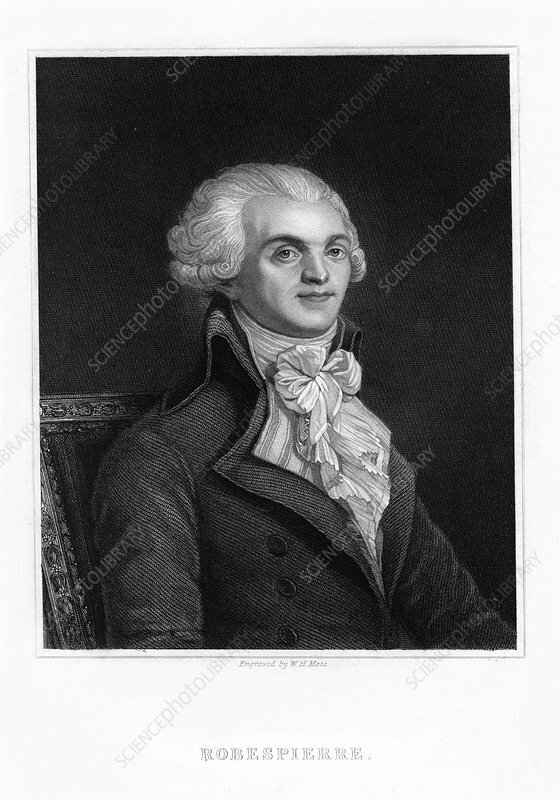 Maximilien Marie Isidore de Robespierre (1758-1794), French revolutionary and protagonist of the Reign of Terror, was declared an outlaw by the Convention and he was sent to the guillotine with his supporters on 28 July 1794 (10th Thermidor). Artist: WH Mote.